When we make the decision to live healthier lives, many of the benefits cannot be measured by any scale or device. These are things like still having energy to play with the kids at the end of the day or taking up another notch on your belt. But some form of measurable progress is usually a good thing for long term motivation. It turns out that some of the devices we’ve used for years, like the bathroom scale, do not give a complete picture of our health status. “Dumb” scales, like the one that’s most likely in your bathroom, only measure the gross weight of an object. When people step on these scales, that means fat, bone, muscle, and everything else. Yet many people still use these devices, because weight tends to fluctuate and it is an easy metric to understand. But like a hitter’s batting average, weight alone does not tell much of the story. Just like a hitter who has eight or ten extra base hits is much more valuable than a player with a dozen singles, all weight is not the same, because no one wants to lose muscle mass. Consider upgrading to the best scale for body fat. These devices discriminate between different types of mass, so you get an accurate body fat percentage reading. As a bonus, since most of these scales break down body fat into hundredths of a percent, you’ll see measurable progress almost every time you step on it. Always try to resist the temptation to step on the scale every day. Once or twice a week is probably good enough. 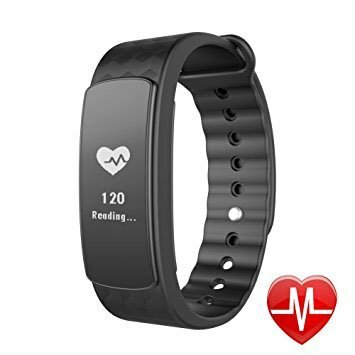 To measure your heart rate, which is probably one of the most important fitness and health metrics, you only need your fingers and a stopwatch. When at rest, most adults should have a pulse between 60 and 100. Place two fingers over your carotid artery, which is just to the side of your windpipe, and count the number of beats in ten seconds. Then, multiply that number by six to get your pulse rate. If your heart rate is too fast, that could be a sign of hypertension or some other problems, so it’s best to bring up that situation with your doctor. Measuring pulse during exercise, or more precisely immediately after exercise, is a little more complicated but still doable. Most 25-year-old adults have a maximum heart rate of 195 beats per minute, and the MHR drops one beat with every year. For those of us who are mathematically challenged, that’s 185 at age 35, 175 at age 45, and so on. So much for the baseline. During aerobic exercise, like jogging, swimming, or brisk walking, most people should have a heart rate between 50 and 75 percent of their MHRs. So, the 35-year-old person’s target heart rate is between 98 and 146. If your target heart rate is on the low side, consider increasing your workout’s intensity, and it the rate is on the high side, dial things back a bit. Strength is important for a number of reasons, and most people over 35 lose 5 percent of their muscle mass per decade. To see how far, if any, your strength has dropped off, try the pushup test. People who are reasonably fit should be able to do regular pushups, while those of us just getting started should do this test using our knees for support. For those of us who just have to have a gadget, there are a number of wrist fitness trackers available. These wearable tech devices do more than look good. Most of them track a number of fitness metrics, and since most of them are Bluetooth compatible, you can usually upload them to your smartphone and send the data to your doctor. This information gives your physician a more complete picture of your health, as opposed to just a snapshot. Take these tests frequently to measure your progress, because they help you stay motivated to reach the next numerical milestone.